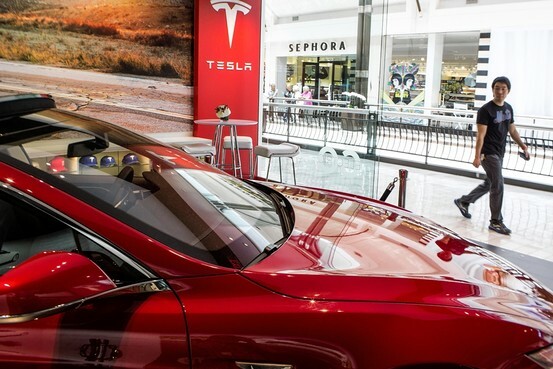 Can Tesla Sell Direct and Bypass Dealers? As we approach the end of 2016, we are going to present some of the most popular of the more than 1,500 posts that have appeared on Retailing A to Z. Today, we cover Tesla’s unique and controversial dealership program — which remains hotly contested as we head into 2017! Tesla Motors is a U.S.-based manufacturer of upscale high-performance electric cars. As it notes at its Web site: “The Tesla Roadster hit the streets in early 2008 as a car with no equal. Four years later, over 2,300 Roadsters drive emissions-free in more than 37 countries. Model S and Model X are the next step in the ‘Secret Plan’ to accelerate the world’s transition to electric mobility. Model S is now in production! It’s more than electric, it’s Tesla.” The Model S sells for $62,000 and up. Now, despite the small amount of cars that Tesla sells, it is embroiled in a battle with car dealers about the right to sell Tesla cars. Click the link above to read more and click the image to view a WSJ video clip. This entry was posted in Part 1: Overview/Planning, Part 2: Ownership, Strategy Mix, Online, Nontraditional, Part 4: Store Location Planning, Part 5: Managing a Retail Business, Part 6: Merchandise Management and Pricing, Part 7: Communicating with the Customer, Part 8: Putting It All Together and tagged auto dealer, car, competition, distribution, Elon Musk, entrepreneur, experiential retailing, franchising, legislation, location, merchandising, multichannel, online shopping, opportunity, planning, poll, strategy, Tesla. Bookmark the permalink.